said Mary with the indifference of arrogance. Are you like me, still feeling guilty about the two plates that I nearly licked clean on Thanksgiving? It’s the one day that all sensibility goes out the window and I make it my job to taste a bit of everything. It is strategy at it’s finest followed by hours and days of misery. I blame the CLEAN PLATE CLUB for my need to eat it all…and Katie’s Pies, and Mom’s Jalapeno Cream Corn, and definitely Ginger’s Chicken and Dumplings. Do you remember the teachers in elementary school encouraging you to be a member of the CLEAN PLATE CLUB? In an attempt to teach you to eat up and create LESS waste, it became a badge of honor if you ate everything on your plate. And since I am a self diagnosed people-pleaser and LIVE for pats on the back…can you guess who was a daily member of this exclusive club? This government supported Clean Plate program backfired a bit and neglected to address our internal signals of fullness and hunger. 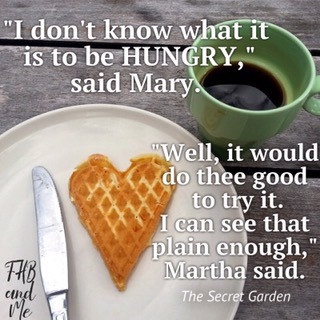 And like Mary in The Secret Garden, many of us today don’t know what it is to be hungry or when to stop when we are full. It’s a skill knowing how much to put on the plate to both satisfy hunger and provide enough energy for the day. It takes trial and error to know what makes you feel good, leaves you still hungry, or makes you miserable as it expands in your stomach hours later like a basket of chips and salsa. Knowing what to put on our “personal” plates is just a challenging. It takes practice to understand what you can realistically get done each day and not be left in a heap of exhaustion, feeling unsatisfied or comatose each night. Friends…there was a time, not so long ago, that my personal plate was Thanksgiving full. I would get up in the wee hours of the morning, in an attempt to fit some of EVERYTHING onto my plate each day. In the height of my “too-full-plate” years, I was asked to write a short bio to be read as an introduction before my speech at a local University. When I finished writing it, I called my husband into the room and asked if I could read it to him…to make sure I wasn’t missing anything. “Keri and her husband Patrick are the owners of Grape Juice, a restaurant, wine & craft beer bar, and retail wine shop in historic downtown Kerrville. Keri’s role at Grape Juice involves all aspects of marketing, events, art, and charity give back programs. Keri is very active in the community as President of the Historic Downtown Business Alliance, and currently serves on the Board of Directors for the Kerrville Area Chamber of Commerce, sits on the committees for Kerrfest, Ladies Night Out Downtown, the Holiday Round Up, and Kerrville’s 4th on the River, and is a graduate of Leadership Kerr County. She and her husband were recently named Business Owners of the Year by the Chamber of Commerce, and Keri was nominated for the Main Street Royal Court for Mardi Gras, was crowned Ice Queen of the Polar Bear Challenge, and won the local Dancing with the Stars competition. Being busy was my badge of honor, my identity, and my self-worth. UGH! I cringe as I write those words…knowing full well this was 100% true. I wasn’t doing it all. I was miserable, exhausted, and my family was suffering at the hands of my SELF-INDUCED and NEVER-ENDING to do list. If I didn’t get a grip on this, my plate and life was going to shatter under the weight of all this busyness. to bragging about it’s absurd fullness? 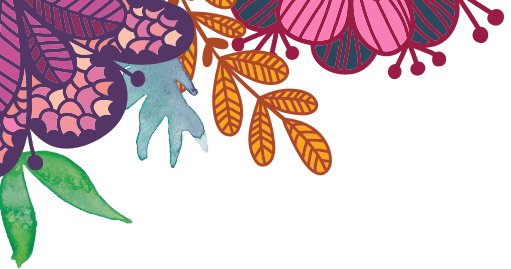 ARE YOU BURIED UNDER BUSYNESS TOO? DO YOU FEEL THANKSGIVING FULL EVERYDAY? DO YOU NEED TO LIGHTEN YOUR LOAD AND TAKE SOME THINGS OFF OF YOUR PLATE? I clearly needed a plate excavation! …until I began to see ME again in the reflection of those newly cleared spots on my plate. And as those clean spaces began to shine…so did I. It is a constant battle keep my plate clean and clear of the clutter that is distracting me from living my life in full bloom. And as I sat down to Thanksgiving this year in my strategically worn stretchy jeans, I was reminded again how thankful I was that my plate was only piled high for today. This plate is no longer a reflection of my everyday life, and the weight of it, is no longer on my shoulders. Have you looked at your plate lately? Is it piled high with things that are not really “feeding” you?